This off-the-shoulder short wedding-guest dress is in vogue. 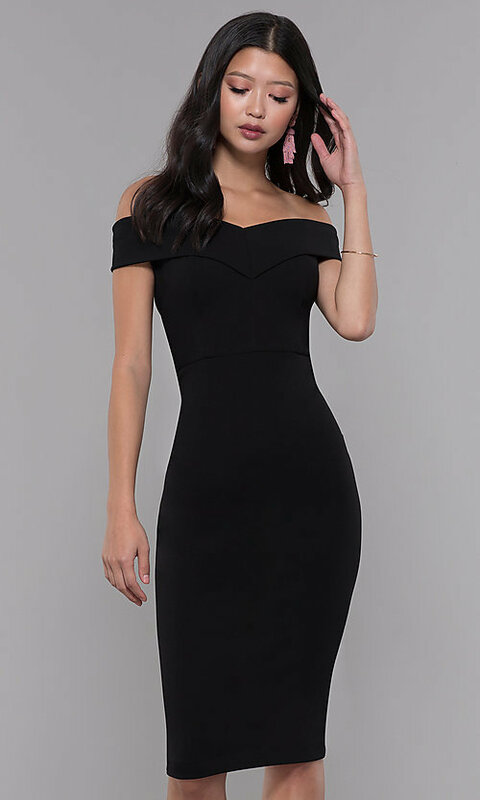 The striking sheath party dress follows the shape to highlight the silhouette, while a fold-over collar drapes alluringly off the shoulders. An exposed zipper brings this classic style forward in the world of fashion. Extending from the natural waistline, the form-fitting pencil skirt cradles the curves from the hips to the knee-length hem. 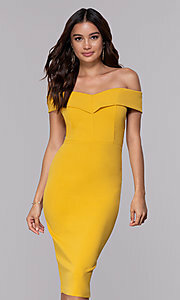 A back slit completes the look of this off-the-shoulder sweetheart wedding-guest dress.